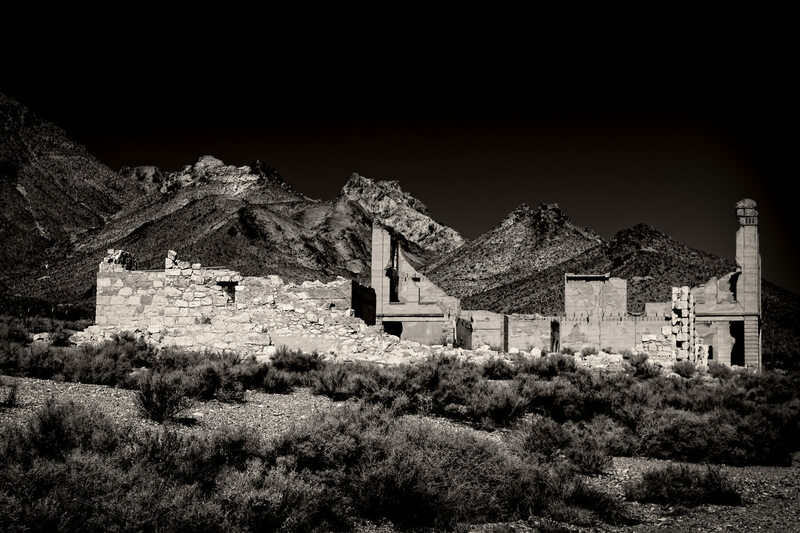 Ruins at the ghost town of Rhyolite, Nevada, sprawl in the desert near the California border. 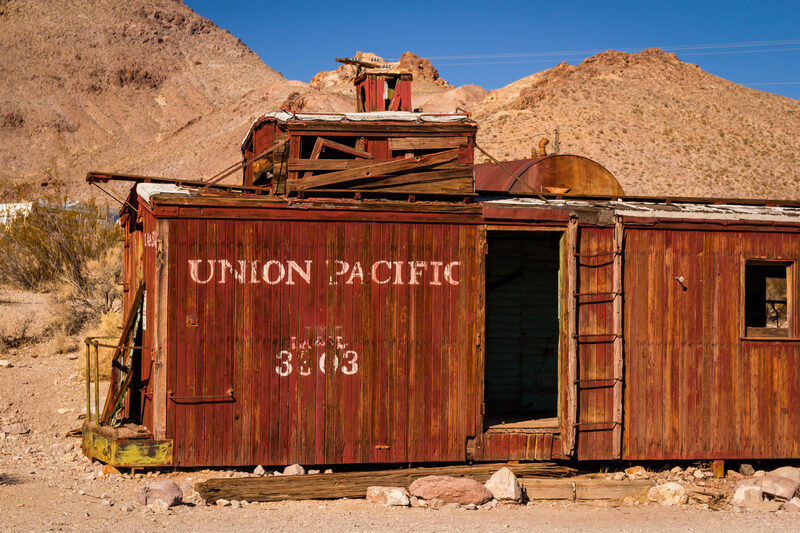 An abandoned Union Pacific boxcar lies weathered in the desert at the Nevada ghost town of Rhyolite. 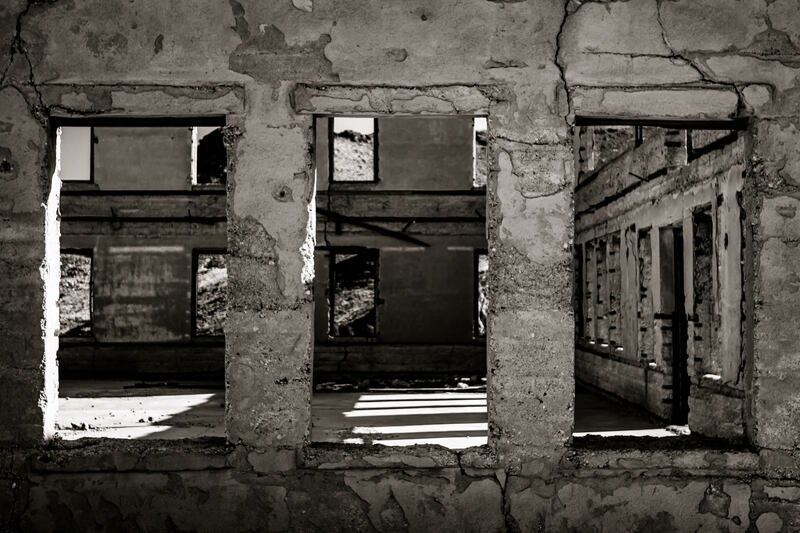 Detail of decaying ruins in the Nevada ghost town of Rhyolite. 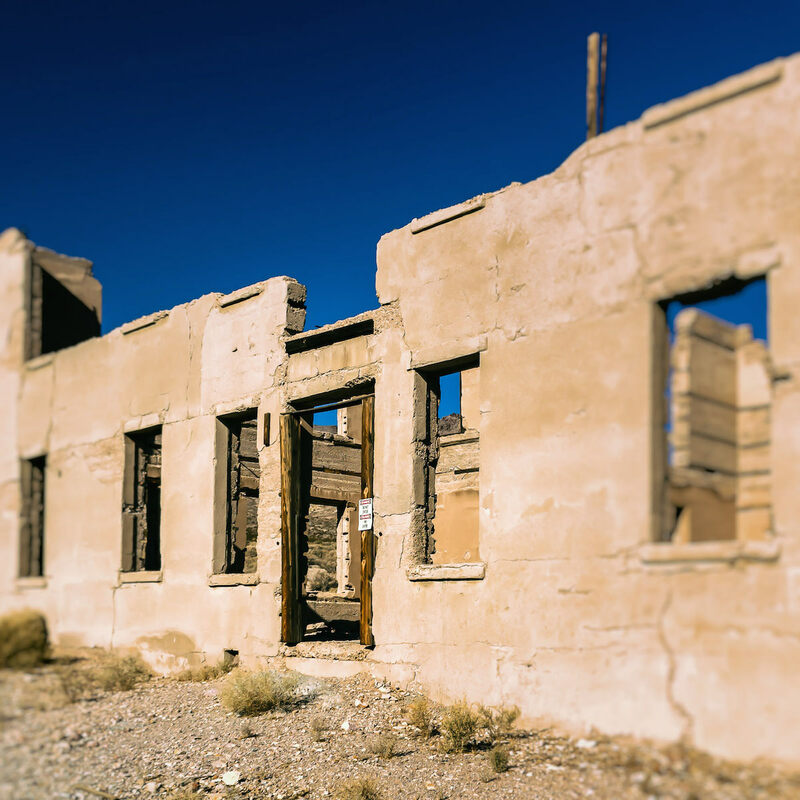 Deserted, crumbling ruins in the ghost town of Rhyolite, Nevada. 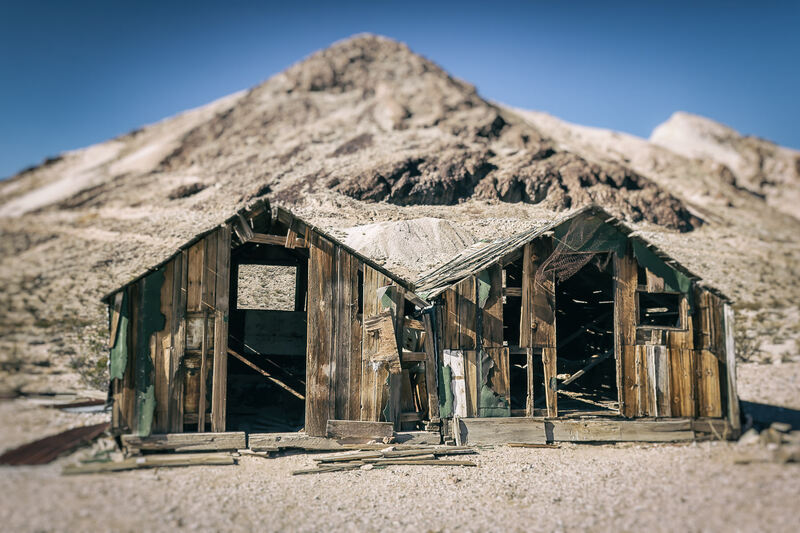 A pair of ancient shacks decay under the Nevada sun in the ghost town of Rhyolite. 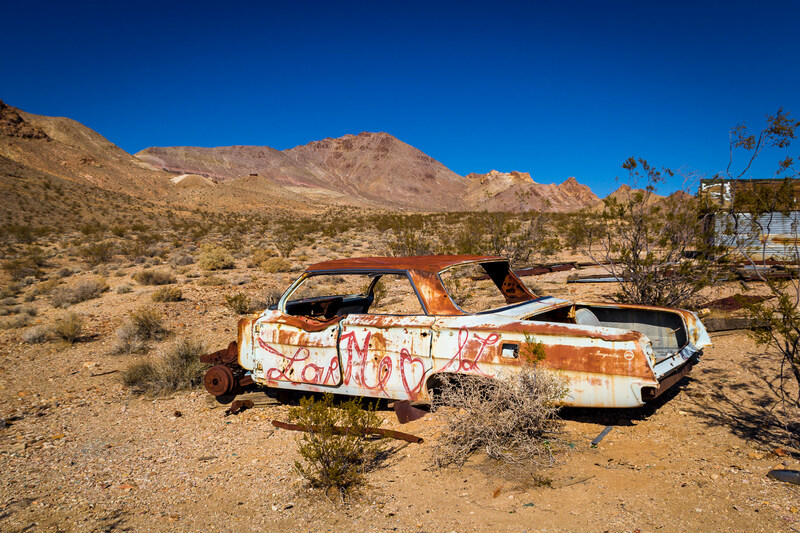 An old Chevrolet Impala rusts in the desert at the Nevada ghost town of Rhyolite. 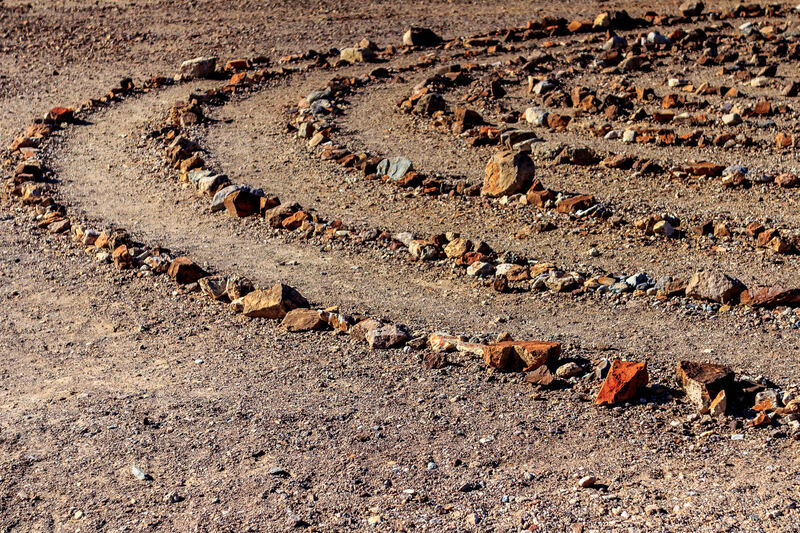 Rings of rocks form a large-scale artwork at the Goldwell Open Air Museum in the ghost town of Rhyolite, Nevada. 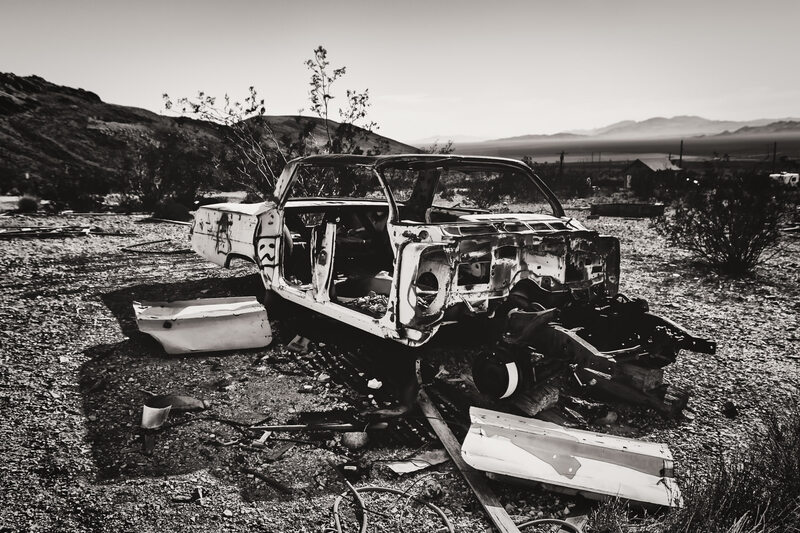 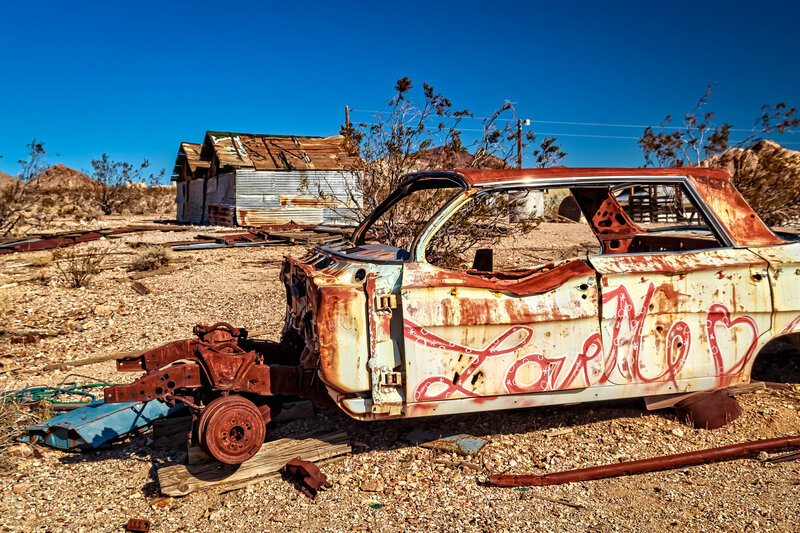 A decidedly un-loved Chevrolet Impala decays in the Nevada desert at the ghost town of Rhyolite. 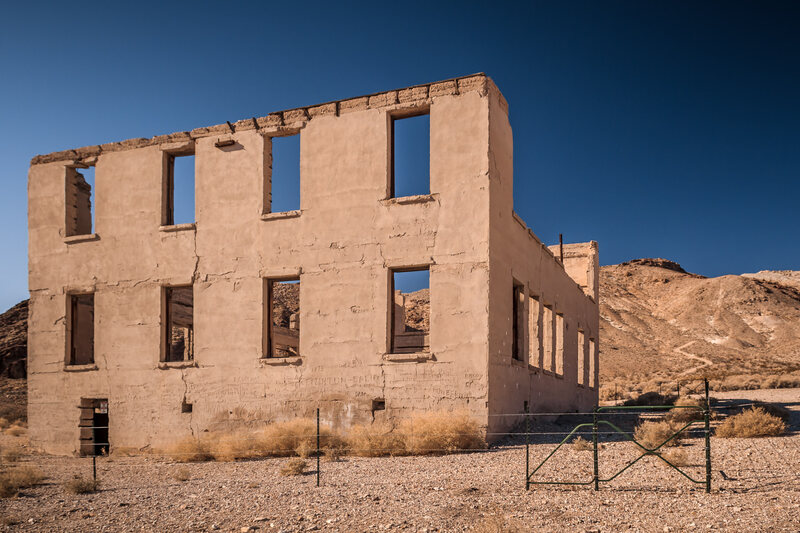 The remains of a long-dead, abandoned building in the Nevada ghost town of Rhyolite, near the California border.